Recruiters have been helping businesses fill job vacancies for decades now. If you have yet to try working with a recruiting firm, you’re missing out on the expertise and assistance of professionals who are dedicated to finding you the best candidate for your job opening. Many of our clients thought their business didn’t “qualify” for recruiting services, thinking recruiters are only interested in placing the CEOs and VPs of major companies. They soon learned this is not the case. A recruiting firm can help any business or organization in any industry or field find the ideal candidate for their job vacancies. Below The Lawler Group has compiled a few ways a recruiting firm can help hiring managers in any industry fill their jobs. A recruiting firm can help managers with all aspects of hiring. Besides their primary role of identifying qualified job candidates, the firm can help with creating job descriptions and setting a salary range, selling your company and the position to the candidates and screening the candidates through preliminary interviews. They may even be willing to negotiate salary on your behalf. A recruiting firm can handle nearly every part of the hiring process. This saves organizations from having to do this work themselves in-house and frees up their HR hiring manager for other duties. Small organizations benefit from the same recruiting and hiring expertise as larger organizations. Every company benefits from the recruiting firm’s connections, candidate database and screening techniques. All of this is available for a one-time fee and none of it takes up any of your staff’s time. Recruiters have many, many contacts on both the employer side and the candidate side and place job-seekers day in and day out. They’ll be using these contacts and this information to find you top-notch candidates. You’ll save time by only interviewing the best candidates for the job, who you know are already interested in the position and the company thanks to the recruiting firm’s legwork. A recruiting firm can even find candidates who are not actively job-hunting, but who may be the perfect fit for your position. It is this inside knowledge and networking expertise that makes the recruiting firm so valuable to so many different HR managers. An outside recruiting firm only gets paid when you make a hire. This saves you the expense of maintaining a recruiter in-house or on retainer even when you don’t need them. Hiring an outside agency to tackle this work is helpful to many organizations that don’t have a big recruiting budget. You can find recruiting firms to assist you with hiring no matter what industry you’re in. The specialists at The Lawler Group have the same end goal as you – finding the right hire for your job vacancies. 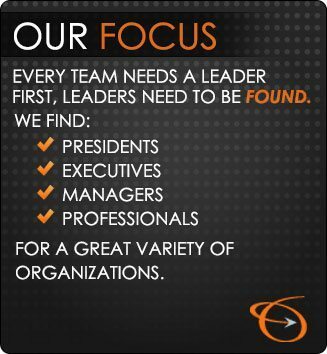 Contact us today at 262-241-1600 to learn more about our services or to get us started on finding your new hire.